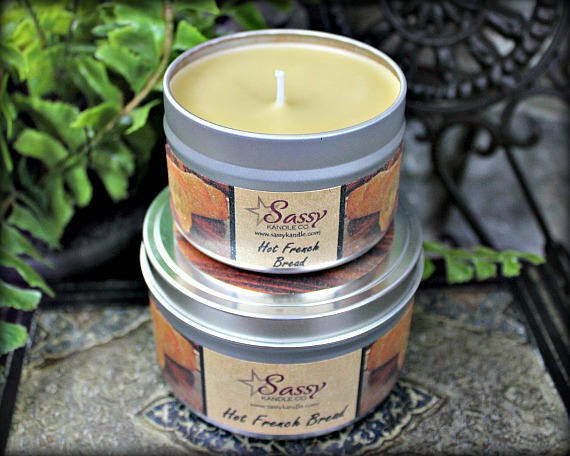 HOT FRENCH BREAD | Candle Tin (4 or 8 oz) | Sassy Kandle Co.
Fragrance: HOT FRENCH BREAD - Smell the aroma of warm, fresh baked french bread, dripping with melted, creamy butter. Smells so true to the real thing you can almost taste it! Choose your size - 4 oz or 8 oz! 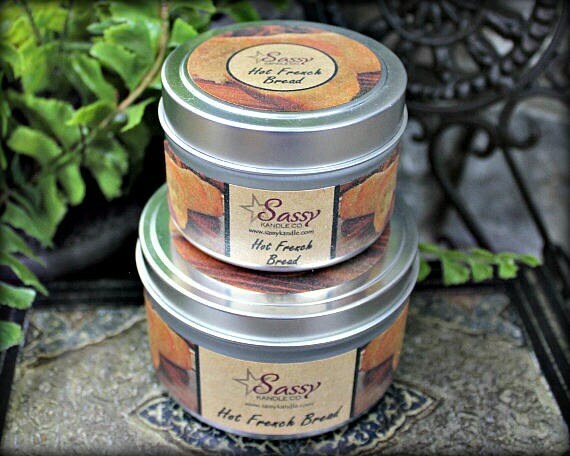 4 oz candle tins burn approximately 20-25 hours. 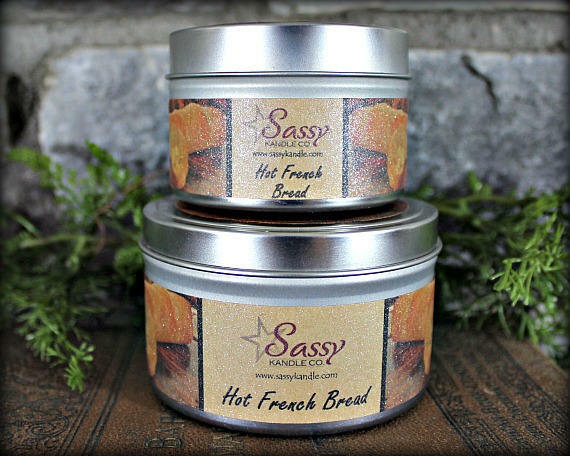 8 oz candle tins burn approximately 35-45 hours. 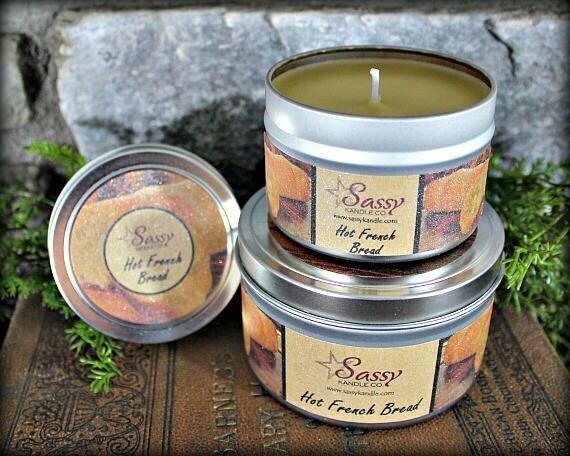 Candles are typically shipped via USPS with 2-5 days after payment has been received. If you need these candles sooner, please contact us and we will try our best to meet your deadline. Insurance is NOT included in the price listed below. If you would like insurance, please contact us. Actual wax color may vary slightly from these pictures. 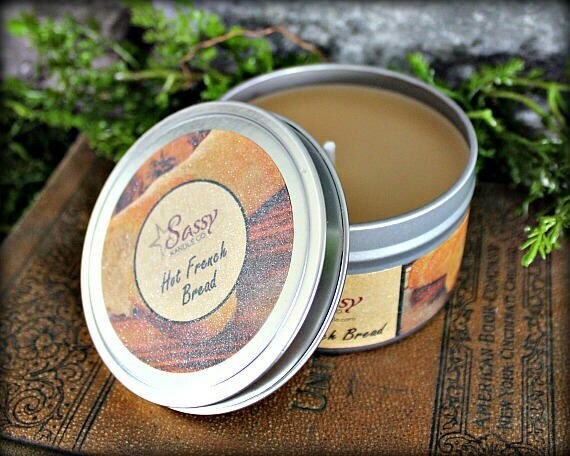 Fast shipping and great candle, got this as a gift for my mom and she loved it. Thank you! I received this candle very quickly; it's a very rich, full scent and I'm disappointed that I'm giving it as a gift and won't get to burn it myself! Very pleased with my purchase. Absolutely Amazing! I got it for my girlfriend who's favorite candle was Bath and body works french baguette, but after smelling this one it is now her new favorite. Sarah really helped me out with shipping and got it to me right on time with really short notice. I will definitely be buying from Sassy Kandle again!